Hardly does a week lapse without seeing warnings about the harmful effects of living a highly sedentary life. It is arguably true and medically established that sitting too much is very hazardous to the health. This is because of the posture and repercussions it leaves us with especially if the whole of the day is always spent sitting down. This is of utmost concern considering the number of people who live a sedentary life spending several hours sitting at work. All manners of health problems ranging from back pain to stroke and to neck disease have been connected to a highly sedentary lifestyle. This is because sitting which of course is considered a less strenuous activity as compared to walking or running places all muscle bones and ligaments in the body confined to a position and may get stiffened. This is just exactly the root of it all. It is important to know that the body is designed for regular movement and the effect wrecked my prolonged sitting even for twelve (12) hours cannot be counteracted by an hour to two hours of workout. Even yet, many desk workers don’t involve in workouts or long walk exercises which implies that their body is usually confined to a sedentary state. Whereas, sitting does not even burn many calories. However, the solution to mitigating the effect of this sedentary lifestyle is the standing chair. Thanks to the warnings in articles around; company CEOs are now making policies in a bid to ensure a healthy lifestyle for their employees in their workspaces. For instance, Tim Cook, the CEO of Apple Inc. has made the use of standing desk mandatory for his employees at the headquarters. Therefore, the idea of not using these desks in the modern workspaces is now quite unthinkable in this present century. A standing desk is also referred to as a stand-up desk. As the name implies, it is a desk that enables you to work and stand comfortably at the same time. A lot of modern types such as the standing desk from Autonomous are height adjustable. This means you can switch between preset heights so as to adjust the desk to an ergonomic height which is best suited for you and also switch between sitting and standing too. This helps you to avoid straining of your eyes and the neck from having to twist your head up and down. They are therefore called sit-stand desks or height adjustable desks. These desks have been proven by research and by results from use to be effective towards avoiding health complications that usually arise from prolonged sitting and a highly sedentary life. While some of the beneficial effects of using these desks have been scientifically established, some are still rather contentious and anecdotal. However, going through this list would give you a more than enough reason why using this desk in the workspace is beneficial. As you consume more and more calories than you burn daily, the resultant is an effect is that you gain more weight and burning more calories than you take in would help you lose weight. One of the age-long method of burning calories and losing weight is to choose to exercise the body. Exercises such as jogging, walking, skipping as well as standing have been found to help burn more calories. So using a standing desk at your workspace ultimately makes you stand even as you work and this in turn would be profitable to your health as compared to an all day long of sedentary work. Imagine you spending an equal amount of time you spend sitting converted to standing at the desk, you can expect a reduction in the tendencies of having health complications caused by obesity because you burn more calories as you stand. You can be sure that sitting at a desk wouldn’t be a best-suited option for people suffering from back or leg problems even as much as it is not good for them. This is because the stress it creates would be difficult for them to endure. In a study conducted in 2011 by CDC revealed that standing desks as a new workspace technology reduces back pain by 54%. This further emphasizes the essence of using this desk and shunning a total sedentary workstyle. This also implies that an hour spent at the desk within a day is a good remedy for stress on the spine which has resulted from long hours of sitting. The analysis conducted by the American Journal of Preventive Medicine has shown that sitting more than three hours per day was the cause of up to 3.8% of all-cause mortality in 54 countries in which the survey was conducted. It was further revealed that removing sitting time would boost up life expectancy by 0.2 years in these 54 countries. It was therefore concluded by researchers that premature death can be warded off if an active lifestyle is practiced by cutting down the time spent on sitting and doing exercises which physically engages the body. 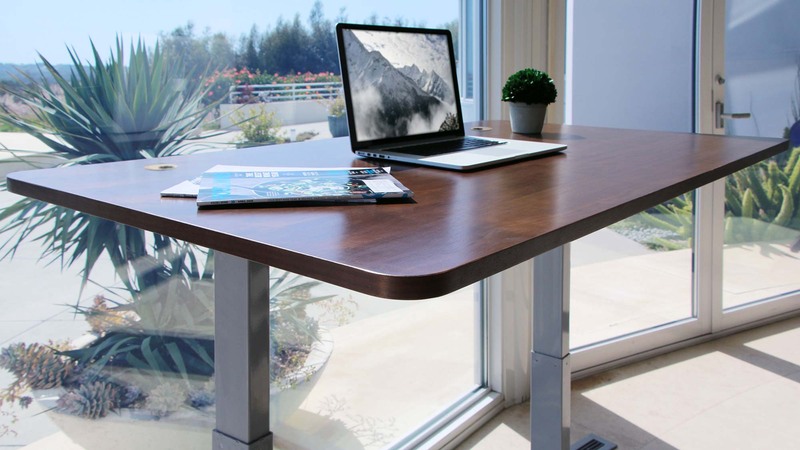 This perfectly aligns with the benefits you would get from using astanding desk in your workspace as it would help you develop a healthy lifestyle and keep you off the zones of a sedentary workstyle. By blending standing with other forms of exercises, you can slowly but surely increase your life expectancy. There are a lot of diseases in the body which are connected to pain resulting from unhealthy sitting habit and an intense sedentary lifestyle one of which is heart damage and lots more. On the other hand, a whole lot can be done to reduce these risks to a large extent when standing at work is habitually practiced at the workspace. The damaging effect caused by a highly sedentary lifestyle doesn’t just affect the aged ones and men alone. Children are likewise affected by an increased sedentary time especially in forms relating to the heart and blood. Therefore, using a standing desk at the workspace would help to reduce these tendencies and keep the body functioning optimally. Sitting for hours ultimately gets you straining your neck to see your monitor screen. This is likely to occur more often in the sitting position especially when the level of your monitor is not the same as your neck’s. This in effects makes your spine to bend to a curved shape like a “C”. However, when you maximize a standing desk and stand to work, you get your spine elongated and to stay free in its normal wavy shape like an “S”. Also, suspending your monitor or laptop on a stand helps you to maintain a good work posture. Using a height-adjustable desk is very much advisable and recommended as you can adjust the desk to your height without having to strain your neck to see the monitor and get work done. A perfect place to look out for is Autonomous as their standing desks are height adjustable and you can switch between four heights presets- a perfect fit for every workspace! One of the things that happen when you stand is that your entire body and your mind is in full operation. In addition to the increased brain functioning and energy derived from proper blood circulation when you stand, you can focus better and longer on tasks. In fact, you will find it easy to multitask if things come to that at your workspace. You don’t have to risk your effectivity and efficiency by sitting down to work when you can produce incredible results through the use of a standing desk. 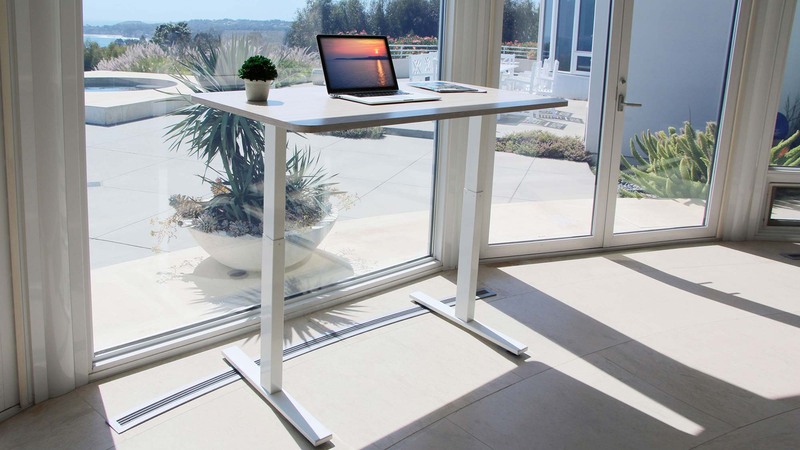 Take the step, get a standing desk for your workspace from Autonomous.ai and watch the next productivity surge you will experience when you stand to work. 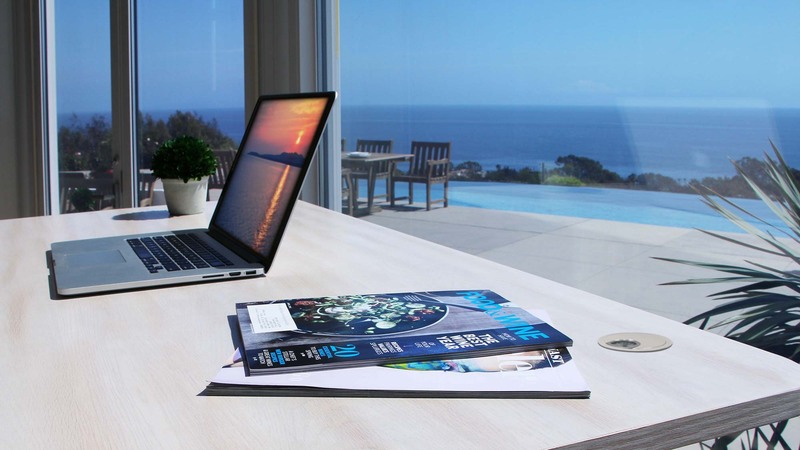 There are a lot of benefits to derive from using these desks and another one is its effect in improving mood. When you stand to work, the endorphins in your body are released promptly and hence keeps you high. Of course, you may not experience the same endorphin release you would get from more tasking activity like weight lifting or running the tracks, the amount released when you stand is much enough to keep you feeling good and cheerful. This is one thing every employee would definitely desire, that is, to have the brain functioning optimally so as to achieve work targets and milestones. However, this effect doesn’t just come freely without having to do some things such as standing to work at a desk. Efficient circulation is proportional to increased oxygen level in the brain because blood carries oxygen. This implies that you will be able to concentrate with extra energy. When there is a proper flow of blood to the brain, you can expect a resultant effect of an increased brain activity and a reduced mental fatigue. So, when you sit for a long period of time, the body functions slow down as well as the brain function too. Why do you think people brainstorm more efficiently when they pace? It’s because pacing helps to keep the energy high and makes you think fast. As against sprawling in the chair, standing to work at your desk would definitely help to spark up and boost your brain function. The best way to attend to any work is to face it with adequate energy and gusto. The first observable feature that sets in when you begin to use a standing desk is an increased energy you feel as against to being worn out. This energy surge has been found to be commensurate to that you would get from taking a tall coffee. Using a standing desk keeps your blood circulation optimal and more oxygen reaches your muscles hence makes you feel better and energized. The benefit of the increased dose of energy is a pivotal step in getting and enjoying more benefits that come with using a standing desk. A lot of companies are now minimizing the use of their chairs just to get their employees standing or pacing during critical sessions of brainstorming and decision making. You can probably guess right that such companies have learned the benefits of standing to work, think and create. Standing desks are at the root of creativity in modern workspaces today and they are as such an indispensable tool for many companies. The core processor of your body receives more energy, more blood and can, therefore, spur other members of your body to produce creative results. If the little transformation in your health and work products that can spring forth from using these desks is possible, wouldn’t you choose to stake your chair for one? Perhaps, the next shift of creativity in your workspace is tied to your next step in getting a standing desk. You can take the step today and now! Fitness is an essential part of living most employees consider as it is proportional to flexibility and proper posture. You may not have the luxury of space to take yoga or fitness classes every now and then but you can think of you standing to work at your desk an extension of your yoga practices. Prolonged sitting stiffens your muscles and tightens your hips as your flexor muscle shortens. This thus reduces your flexibility and proper fitness. Standing, therefore, would help you to maintain better fitness and flexibility. In conclusion, standing desks as simple as they look are now major determinants of productivity in many companies and workspaces. Their essence is just indispensable and is as such an important technological tool every workspace should have. They provide us with the opportunity to choose a healthy lifestyle even as we get more jobs done at our workplaces. At times, all you need to do is to dedicate some portions of your work hours in a day to work at the desk and you can be sure to enjoy the benefits it comes with.